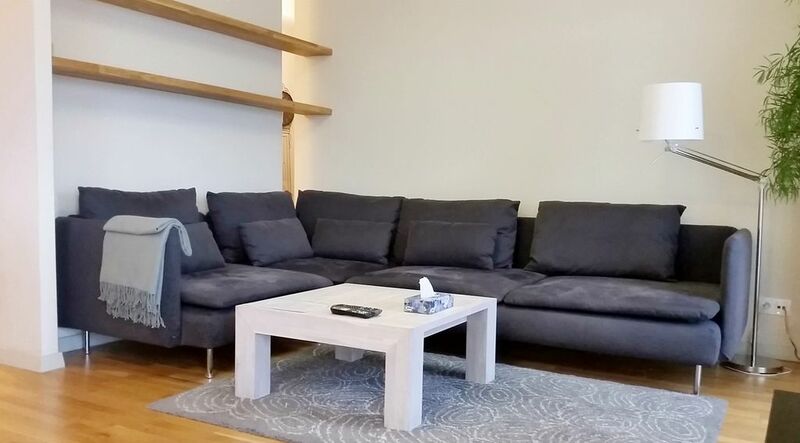 Apartment MARGI Max is located on the border of Szczecin and Bezrzecze, about 15 minutes from the centre of Szczecin, and not far from the German border. Extremely spacious, it consists of two bedrooms and a living room connected with a modern equipped kitchen, bathroom and balcony. In the apartment, guests will find enough space to relax with their families from the hustle and bustle of the big city. The apartment is surrounded by greenery on a closed estate. Deluxe Apartments have been specially prepared to allow guests to spend their free time in the best class, comfort and style. Each apartment is designed for demanding clients who appreciate space and style. Each apartment consists of a bedroom with a large double bed and a living room with kitchenette. Even the most demanding guests will be satisfied with the space and functionality of the apartments. Guests will find the necessary kitchen utensils, bed linen and fresh towels. You can enjoy your free time watching TV or using the broadband Wi-Fi. Welcome home! - the words that motivate me as an idea of creating accommodation for people who value comfort and pleasure at an affordable price. With these words I welcomed you in the first Coral Sea Margi Apartment and invite you to two more. Margi Apartments is a young brand, evoking spending time in a place that always provides you with everything you cannot pack in a suitcase. A comfortable bed with nice bedding, comfortable furniture and attractive interiors, which you will not want to leave. The brand was born in July 2017 and offers the first apartments by the Baltic Sea in Swinoujscie and Szczecin. In the near future, there will be more apartments, always maintained in a high standard and offering a relaxing stay. To ensure your relaxation and well-being in Margi Apartments, I use the knowledge and experience gained in the most prestigious sectors of tourist reception: luxury private yachts and five-star Monte Carlo and Milan hotels. Thanks to it you will feel comfort, pleasure and harmony in the apartments that I have prepared for you.